Anthony Ray Hinton. Photo courtesy Samford University. 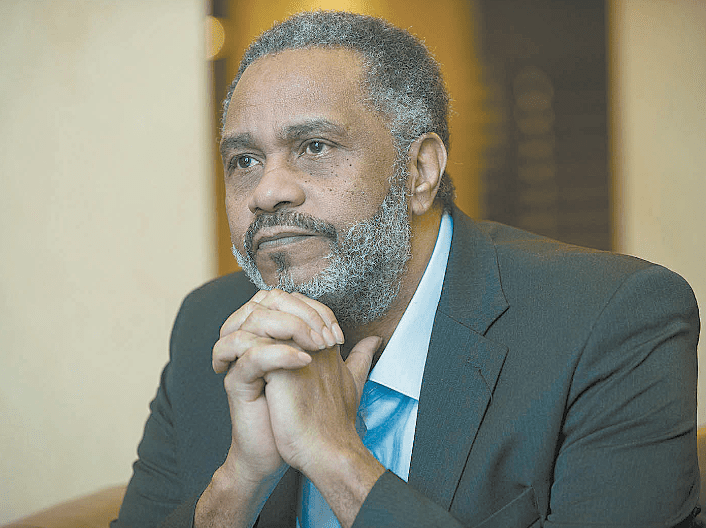 Anthony Ray Hinton, who served 30 years on Alabama’s death row before being exonerated and released, is being honored this month as the 2019 Distinguished Author at the ninth annual Tom and Marla Corts Distinguished Author Series. Hinton’s personal memoir, “The Sun Does Shine, How I Found Life and Freedom on Death Row,” was published a year ago. It became a New York Times best-seller, and Oprah selected it for her summer Book Club last year. Hinton was one of the longest-serving death row inmates in Alabama history and among the longest-serving death row inmates in the country to be released after presenting proof of innocence, according to the website for the Equal Justice Initiative, where Hinton now works as a community educator. Initially, Hinton’s incarceration made him confused, angry and full of despair, he wrote in his book. But he decided he did not want to wallow in resentment and, instead, began to transform his life and the lives of those around him through humor and joy. In 1985, Hinton was arrested and wrongfully convicted with two counts of capital murder in the deaths of Birmingham-area fast-food restaurant managers. He was 29. The arrest was based on the seizure of a gun that had belonged to Hinton’s mother and that state forensic scientists said was used in the murders. EJI took up the case, and years later the U.S. Supreme Court ruled that Hinton deserved a new trial because he had deficient legal representation the first time. The trial was scheduled, but the judge dismissed the case after forensic experts for the prosecution could not match bullets from the crime scene to Hinton’s gun. Three experts hired by the defense also were set to testify that the gun could not have been the murder weapon. Hinton will share his story of “love, justice and hope sustained through dark times,” in his speech during the author series, which is presented by the Orlean Beeson School of Education at Samford University, according to a statement from Samford. The Tom and Marla Corts Distinguished Author Series was launched to highlight reading and literacy and to provide financial support for the Orlean Beeson School. Hinton’s speech will be April 16 at 7 p.m., with a book signing to follow, in Samford’s Leslie S. Wright Center. General admission tickets are free for Samford students and $10 for the general public. VIP tickets are $50 and include a private reception with Hinton at 6 p.m. and a signed copy of his memoir. Tickets can be purchased at samford.edu/go/OTMJ or by calling 205-726-2853.